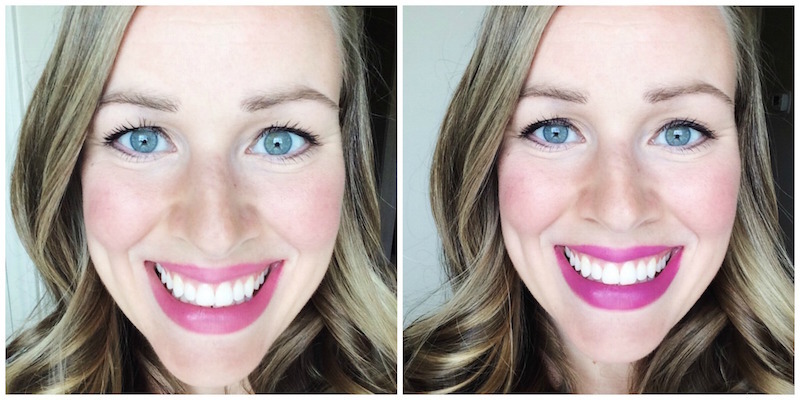 I'm back today with part 2 of finding a flattering lipstick. The first go-round I focused on lipsticks you can find at Sephora or higher-end beauty/department stores. Today I'm sharing a few drugstore lipsticks I tried. Almay Smart Shade Butter Kiss Lipstick in Pink Light // I really loved this one. It goes on SO nicely and is really moisturizing. It didn't feel like a traditional lipstick at all, but it gave my lips a nice pink color to brighten them up a little. This is a perfect everyday lip color that won't stain your lips or feel like you're wearing any lipstick at all. Burt's Bees Lipstick in Fuschia Flood // This was a tad too bright for me. I did like the formula and it went on nicely, but it was just a little too bright for my taste. It's definitely worth trying several shades of this lipstick, though! CoverGirl Colorlicious Lipstick in Divine Wine // This was my least favorite by far! Ugh - SO bright and it accentuates how big my lips are just a tad too much for my liking. This was included in my Target Beauty Box, which is the only reason I tried this lipstick. I found that it bled past my lip line easily, and it felt pretty waxy. In other words, it's a cheap drugstore lipstick. Not a fan! I think my lipstick search has come to a temporary halt. I have five different ones that I really like, and I'm pleased to say that I've gotten to the point where I enjoy wearing lipstick! P.S. A tip for finding the right drugstore lipstick: CVS has a 100% money-back guarantee on beauty products - even if they're opened! Yes - it's going to look great! I'm glad you ordered some! I think it feels so nice, and a pretty color, too!